All databases open in a new window or tab. Websites with an asterisk (*) are ABBE databases. This multi-disciplinary database provides full text for more than 4,000 journals, including full text for nearly 3.900 peer-reviewed titles. EBSCO's AP News provides near real-time access to top world-wide news from Associated Press on a continuous basis. Content includes coverage of a wide variety of applied science specialties--acoustics to aeronautics, neural networks to nuclear and civil engineering, computers and informatics and much more. Auto Service and repair information on more than 38,000 domestic and imported vehicles from 1974 to present from every major manufacturer. Comprehensive resource for biographical information. Comprehensive source for literary research on writers and their works throughout history and the world. For students in grades K-3; Animated, curricular movies, interactive quizzes, games, and activities that encourage young learners to ask questions and form their own ideas. Kids can search the encyclopedia, browse school subject areas, visit the student center and read about recent news and events. Videos and other learning materials allow elementary school kids can to explore animal habitats and groups. Encyclopedia, dictionary and thesaurus especially for kids. Business research database covering marketing, management, MIS, POM, accounting, banking, finance, and economics. Computer Source provides researchers with the latest information and current trends in high technology. Consumer Health Complete (CHC) is EBSCO's interface designed for the everyday consumer of health care information. Concise cultural and statistical snapshots of every country recognized by the United Nations. Content includes in-depth coverage of special education and more than 100,000 controlled and cross-referenced names of educational tests. Subject coverage includes adult education, multicultural/ethnic education, teaching methods, and much more. Encyclopedia articles, magazines and journals, websites, multimedia, dictionary and thesaurus entries. Contains more than 1.3 million records and links to more than 323,000 full-text documents dating back to 1966. This new bibliographic database is a valuable index for libraries, scholars and individuals interested in European works that relate to the Americas written in Europe before 1750. Fuente Academica offers more than 450 scholarly journals from Latin America, Portugal and Spain. History Reference Center provides full text reference books, encyclopedias, non-fiction books, history periodicals, historical documents, biographies of historical figures, historical photos and maps, and hours of historical video. Articles, pictures and reference information on all subjects. For K-5 students, their teachers and parents. Includes practice tests, exercises, skill-building courses, and information needed to achieve the results you want at school, at work, or in life. Designed specifically for public libraries, this multidisciplinary database provides full text for nearly 1,700 periodicals. Provides authoritative medical information on medicine, nursing, dentistry, veterinary medicine, the health care system, pre-clinical sciences created by the National Library of Medicine. Provides full text for more than 140 popular, middle school magazines, including an assigned reading level indicator (Lexiles). Includes more than 860 full-text newspapers in addition to featuring more than 857,000 television and radio transcripts. A comprehensive reading resource for fiction and nonfiction.Its fun and intuitive interface, and extensive proprietary content helps integrate reading across the curriculum and supports young readers. Disease and drug overviews, care plans, relevant journal results and animated anatomy and physiology diagrams to complement the core encyclopedia texts. A virtual library of resources from Gale designed to aid students in the study of today's hottest social issues. A flexible, comprehensive and beneficial search tool supporting high school and academic and public library research. An interface intended for public, academic, and high school libraries. Designed to assist researchers in understanding the full scope of controversial subjects. Provides full text for more than 70 popular magazines for elementary school research. Designed for professional educators, this database provides a highly specialized collection of nearly 520 high quality education journals and features educational reports. Covering information concerning topics in emotional and behavioral characteristics, psychiatry & psychology, mental processes, anthropology, and observational & experimental methods. Provides comprehensive full text coverage for regional business publications covering all metropolitan and rural areas within the United States. 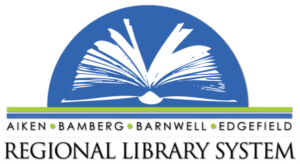 Designed for vocational and technical libraries servicing high schools, community colleges, trade institutions and the general public. for the content or availability of material on linked or subsequent sites.